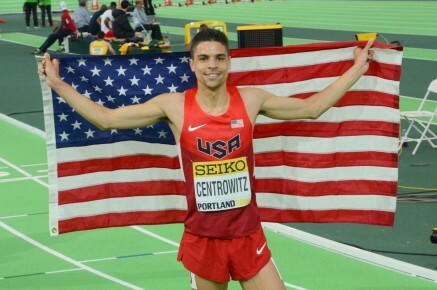 15th January 2017 – After a year that saw him become US Indoor Champion, World Indoor Champion, US Outdoor Champion and finally Olympic Champion, Matthew Centrowitz (USA) started his 2017 season the only way he knows……winning! Racing at the University of Washington Invite, Centro stepped up to the 3000m and led from gun to tape to take a comfortable victory in 7:49:89. Fellow Oregon Oregon Project teammate Jordan Hasay (USA) made a very impressive debut over the half-marathon distance as she took fourth place in Houston. Jordan’s time of 68:40 puts her sixth on the US All-Time list and shows that her preparations for her marathon debut in Boston later this year are progressing very nicely. Also running on the roads at the Mumbai Marathon was Duncan Maiyo (KEN). Duncan ran large parts of the race on his own and finished in eleventh position. 2017 will see the IAAF World Cross-Country Championships held in Kampala, Uganda and so the host nation will be looking put out very strong teams. In highly competitive trial races that were held on the course that will be used in March, Timothy Toroitich (UGA) secured his selection by taking fourth place in the senior men’s race.